The Spitfires will take on youthful Southampton XI at the Silverlake Stadium tonight however it has been confirmed that Ian Baird’s opponents will not be an entirely a under 21 side. 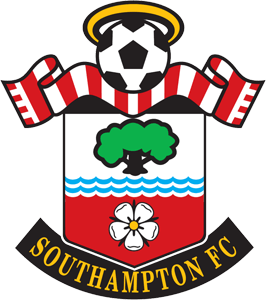 It is expected that a few Southampton senior players will be in the stands watching on as well, but as always in this pre-season friendly , it is almost certainly going to be a crowd pleaser. This fixture comes just one day after the announcement of two new signings from the Eastleigh trialist program. Former Bristol Rovers goalkeeper and life long fan Mike Green signed for Eastleigh after being on trial with Cheltenham and on loan with Clevedon Town and Gloucester City in the 2009-2010 season. Green will provide a big threat for number one goalkeeper Gareth Barfoot as the 6ft 1 goalkeeper impressed against Weymouth,Sholing and Oxford City in previous weeks for Eastleigh. The second of the signings is former Dundee United and Swindon Town winger Ryan O’Hara. Swindon born O’Hara has played for Scotland at youth level and has played for Salisbury City and Gloucester City at non league level so this is another promising signing for Ian Baird. These two signings will join Ben Wilson,Sam Wilson (no relation),Jack Vallis who is a England school boy and former Gillingham and Reading striker Andrew White from the full time program. As well as this, former Spitfires Andy Forbes and Jamie Brown have both signed for Eastleigh. Southampton Under 21’s have won 0-1 away to AFC Totton and drew 0-0 away to Kettering Town. The Spitfires on the other hand have won 2-1 away to Sholing and have lost against Oxford City away 2-0, however The Spitfires have only lost two out their seven pre-season games, drawn two and have won three so the game could go any way. Last season The Spitfires lost 1-0 to Southampton so come and support the Spitfires in their last pre-season game at home! ← Credit Cards – Interest Free or Balance Transfer?